Hobbycraft is an arts and crafts superstore retail chain in the UK. It was founded in 1995 and started out with only small independent arts and crafts suppliers. 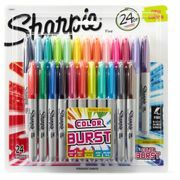 Today the company has more than 80 stores across the UK and offers over 250,000 products for 250 inspirational activities and numerous of exciting ideas. The company’s product range include art materials, craft kits, cookware, baking supplies, ready-to-make jewellery and so much more. In addition, you will find all of your favourite brands and everything you need when it comes to organising a party and adding a personal touch to your wedding. Hobbycraft is the place where you can get inspired and excited about craft. If you’re new to crafting, they offer free weekly activities and inspirational demonstrations at their store as well as classes from knit and natter to seasonal fun which varies from store to store. So, if you’re a newbie to crafting or simply want some advice, a busy mum searching for the perfect school project or a cross stich enthusiast looking for new ideas, Hobbycraft will help you with everything you need. Discover everything you need for your next project, with fantastic offers and exciting new products including great deals on sewing machines and fabric bundles, as well as project inspiration and over 100 free sewing patterns available to download online. Whether you want to make the perfect handmade birthday card, start a scrapbook, or treat yourself to the latest Die Cutting Machines, you'll love their Papercraft range. If you can fold it or cut it, you'll find it at Hobbycraft. Shop everything you need to inspire your kitchen creations, from baking equipment, kitchenware and ingredients. From rainy day activities to summer craft ideas to get the whole family making together, find tons of easy craft project ideas and fun activities for kids. Whether you're new to the craft or simply topping up your yarn stash, you'll be able to explore a range of top brands, wonderfully inspired patterns and books, as well as all of the tools and accessories you'll need. Get your craft box ready with their range of essential crafting supplies and find everything you need to get making. 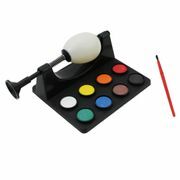 Find everything you need for painting, drawing and printing within their wide range of art supplies and artist material. Whether you want to upcycle your old furniture or make your own soap, find everything you need to get started with a new hobby right here! Decorate your home in style with their huge selection of items for home décor, ceramic and glass painting, candle making and more. Whatever your colour scheme or wedding theme find everything you need to make your big day picture perfect in their range of wedding decorations, supplies and accessories, from the save the date cards to favour boxes. From throwing a themed birthday party to welcoming a new arrival into the family, find the personal and unique touches to make it really special. Whatever the occasion, they have everything you need to celebrate. How do I contact Hobbycraft? 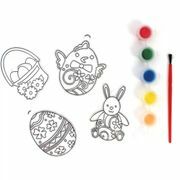 What are the delivery options for Hobbycraft? Free for orders over £30, collect your order from your local Hobbycraft store. There is a £1 delivery charge for Click & Collect orders under £30. 2 working days for a ll orders placed before 4pm Monday to Friday. Wednesday collection for orders placed between 4pm on Friday to 4pm on Monday. You will receive an email from the store when your order is ready for collection. £3.50 delivery charge for orders below £15. £1.75 delivery charge for orders between £15 and £29.99. 3 to 5 working days for orders before 3pm. Order before 3pm and your order will be delivered the next working day. This does not include Saturday. Hobbycraft ships to over 200 destinations worldwide. Delivery costs start from €5 or $12 and are based on weight. Full details will be provided at checkout. For more information on international purchases and transit times visit their Delivery page. How do I return an item to Hobbycraft? In most circumstances it's not possible to make changes to an order. To change details of your delivery address, remove items or cancel it completely. Contact the Customer Services team right away and provide your order number. Fill out the return slip in your parcel. Affix the postage label provided or download a new one by clicking on this link. Get a certificate of postage from the post office. Contact 0330 026 1400 if your item is over 600mm or over 60kg to arrange for your items to be collected. Once returned, your refund will be processed and a credit will be applied to the original payment method within ten working days. Refunds will be processed within 10 working days once your items are received by Hobbycraft. Your refund will be credited to your original payment method. All online orders paid for via Paypal cannot be refunded in store. Contact their customer services at international@hobbycraft.co.uk or visit their returns portal. The Hobbycraft if free to join and open to everyone who loves to craft. As a member, you will be able to enjoy exclusive offers, new ideas and techniques as well as inspiration for the crafts of your choice. For more information visit ther Hobbycraft Club page.